Let’s be honest. Trying to figure out the difference between independent contractors and employees and when to use 1099s and W-2s can be confusing and overwhelming. But it’s super important that you have a basic understanding of how to classify workers, even if you have a payroll service or accountant to do the heavy lifting when it comes to paying them. Whether your workers are employees or independent contractors affects how both you and they are taxed. For example, you must withhold income taxes, withhold and pay Social Security and Medicare taxes, and pay unemployment tax on wages paid to an employee. You don’t usually have to withhold or pay taxes on payments to an independent contractor. What are independent contractors and employees? An independent contractor is self-employed. You enter into a contract with an independent contractor to do a specific role or complete a specific task. Contractors may set their own hours and use their own tools. They may even work for more than one business. Since they are self-employed, you do not withhold taxes from their paychecks; they pay their own taxes and provide their own benefits. An employee is hired by your business under an employment agreement. You withhold taxes from their wages, train them, pay employment taxes for them, and may provide benefits. Because of this, you have more control over your employees — you dictate what they work on and when they work. How do 1099s and W-2s play into this? 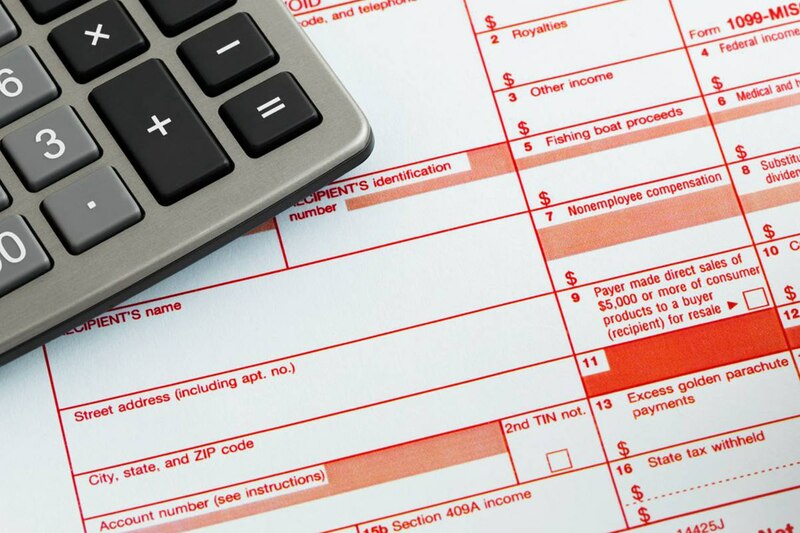 1099s and W-2s are tax forms. A 1099-MISC, for instance, is typically used to report payments made to independent contractors (who cover their own employment taxes). A W-2 form, on the other hand, is used for employees (whose employer withholds payroll taxes from their earnings). We know you have more questions, so let’s dive in a little deeper. The difference between an employee and an independent contractor is the degree of control you have over the worker or the amount of independence they have. Pretty vague, we know. There is no test to determine if someone is a contractor or an employee under the Fair Labor Standards Act (the law that governs much of your relationship with your workers). Behavioral: Do you control (or have the right to control) what the worker does and how they do their job? Financial: Are the business aspects of the worker’s job controlled by the payer (these include things like how the worker is paid, whether expenses are reimbursed, who provides supplies)? Type of relationship: Are there written contracts or employee-type benefits (i.e., insurance, vacation, 401(k), etc.)? Is the relationship permanent? Is the work that is performed a key aspect of the business? The IRS notes that there is no magic formula that makes someone an employee or a contractor. Instead it wants you to look at the entire relationship and consider the degree to which you direct that person in their work. Once you’ve decided whether the person is an employee or a contractor, make sure you document the factors that led you to that determination. Keep in mind that, generally, the law presumes workers are employees unless they meet strict legal requirements to establish independent contractor status. It’s very important to make sure that you are classifying your workers correctly since misclassification can result in costly financial penalties (and no one wants unexpected costs!). Employee misclassification happens when workers are mislabeled as independent contractors, rather than employees. If you misclassify employees, you aren’t paying unemployment and other taxes on your workers when you really should be. And you aren’t covering them with workers’ comp and unemployment insurance when you should be. Providing employee benefits, including health insurance, retirement plans, etc. More and more small businesses are spending money on contractors. In 2014, 8.1 percent of U.S. sole proprietorship business expenses were spent on contractors, according to the IRS (up from 5.8 percent in 2007). Independent contractors have some easy-to-identify benefits for the bottom line. Because you aren’t paying employment taxes and providing benefits for them, contractors can often cost less than full-time employees. But with the pros, like lower cost, can come cons, like the lack of control you might have over your contractor’s schedule. Here’s a breakdown of some of the pros and cons for both independent contractors and employees. Expertise: Contractors typically are well trained in their field and can hit the ground running with minimal training (they are independent, after all). They can focus on a very specific project that you may not have expertise in. Less control: Businesses have less control over independent contractors, who tend to enjoy a greater amount of autonomy. Plus they generally only work for a business for a short amount of time, which can be disruptive. Expenses: Contractors are not classified as employees. So you don’t have to withhold payroll taxes from their payments, and you don’t have to offer benefits like health insurance. (Payments to international contractors may be subject to separate withholding taxes.) This can save money (although not always since contractors get paid at a higher rate in some cases). Legal considerations: Everything about your terms with your independent contractors is controlled by your contract. So draft your contract carefully and get a legal professional to review it. While you can dismiss an employee at will, you might not be able to fire the independent contractor without being in breach of contract. Flexibility and independence: Independent contractors are hired for a specific project or set amount of time, which gives businesses more flexibility in hiring and dismissing them. Insurance: If contractors get injured on the job, they could choose to sue the business. Employees, on the other hand, are covered by workers’ compensation insurance and generally can’t sue their employer for work-related injuries. Company loyalty: Employees often identify strongly with their job, value the financial security, and may want to stay with the company longer than independent contractors who jump from gig to gig. Higher expense: You’re not only responsible for employees’ wages, you also have to pay your share of their Social Security and Medicare taxes. You may need to provide employee benefits like health insurance and paid sick leave as well. Ongoing support: During busy periods, you can count on your employees to pitch in, work late, and help get the job done. Employees can wear multiple hats and help out where they’re most needed. Resources: You need to supply your employees with everything they need to do their jobs (unlike contractors). Employees are generally based onsite as well, so you need to ensure there are sufficient workspaces for everyone. Greater control: Employers have control over their employees’ schedules, deciding when and how they work. If you need something done a certain way at a certain time, it makes sense to hire an employee to do the job. Managing employees: When you have employees working for you, you need to train, manage, and motivate them. Make sure you have time to commit to this. W-2s and 1099s: What’s the difference? Once you’ve decided whether to hire employees or contractors — or both — you need to get familiar with the forms that the IRS requires you to submit for each type of worker. The forms you hear about most are the W-2 and 1099. If you are hiring an employee, you need a W-2 tax form. A W-2 is a tax form where businesses report annual compensation paid to their employees and the payroll taxes withheld from that compensation. Employees who receive a W-2 are paid through their employer’s payroll and have their payroll taxes withheld throughout the year. Employers must mail W-2 forms to their employees by January 31 of the following calendar year. The W-2 form is available on the IRS website. Business owners can also generate and file W-2s through Square Payroll. If you are hiring an independent contractor, you need a 1099 form. A 1099 form is a series of documents used by businesses to report payments made to an independent contractor during the past year. The tax form 1099-MISC is used by businesses to report payments made to independent contractors during the past year. An individual or business that pays an independent contractor $600 or more in a calendar year is responsible for sending the contractor a completed 1099-MISC (Copy B) by January 31 of the following calendar year. There are exemptions that exclude some independent contractors from needing to be reported (i.e., if the recipient was a corporation). The individual or business that sends a contractor a 1099-MISC (Copy B) is also responsible for filing the 1099-MISC (Copy A) with the IRS by January 31 of the following calendar year. You can order free hard-copy 1099-MISC forms from the IRS. Business owners can also generate and file 1099-MISCs through Square Payroll. Once you’ve filled out all your 1099-MISC forms, you need to fill out Form 1096 with a summary of all the 1099s you prepared, and send this to the IRS by January 31. If you file 1099s electronically, you don’t need to file a 1096. W-2s and 1099s are just some of the tax forms you need to use when you hire employees and contractors. For information on the other forms, consult the IRS website or your accountant. When you decide to hire people, one of the first things you do is set up systems to manage how to pay them. Whether you have only employees (W-2), only independent contractors (1099), or a mix of the two, Square Payroll can make processing payroll easy. Square Payroll simplifies your operations and helps you save time with fully integrated timecards, workers’ comp, sick leave, and PTO for your employees. It also lets you pay both employees and contractors with direct deposit. And it takes care of payroll tax calculations (for W-2 employees) and creation of your W-2s and 1099-MISCs. A contractor is not an employee. Generally, you have more control over the work that an employee does than you do with a contractor. You must withhold income taxes, withhold and pay Social Security and Medicare taxes, and pay unemployment tax on wages paid to employees. You do not usually withhold taxes for a contractor or pay toward other benefits; they take care of that themselves. What is the pay difference between an employee and an independent contractor? It depends on what you are hiring your independent contractor to do. In some cases, independent contractors are paid more per hour because of their expertise (and that’s what you’re hiring them for). However, you don’t have to pay for benefits or Social Security, Medicare, or unemployment taxes when you hire a contractor. Because of that, many businesses find independent contractors to be more cost efficient. Be aware, though, that misclassification of contractors comes with stiff penalties, so make sure your contractors really are what you classify them as. How do you go from employee to independent contractor or vice versa? If you want to transition your contractor to a full-time employee, you need to hire them for an open position. Using a service like Square Payroll, you can easily transition your contractor to employee and start withholding taxes and paying employment taxes. It’s trickier to turn an employee into a contractor. Since workers are assumed to be employees unless proved otherwise, switching someone from a W-2 to a 1099 may trigger some questions from the IRS. Make sure you talk with your lawyer and accountant before making these changes. What is the independent contractor tax rate? Independent contractors pay a self-employment tax because the businesses they work with don’t withhold Social Security or Medicare taxes for them. The self-employment tax rate (made up of Social Security and Medicare taxes) is 15.3 percent. It’s a little more complicated than that, though (surprise!). Income up to $118,500 is subject to Social Security tax and all your income is subject to Medicare taxes. Can You Pay Your Employees in Cash? Please note that the information contained herein is limited in scope and is only intended as an overview of the differences in reporting forms for independent contractors and employees. The information is based on current and active legislation, which may change in the future. It is not tax or legal advice that you can rely upon for your business and cannot be relied upon for the purpose of avoiding taxes and/or penalties that may be assessed from using the information contained herein. For guidance or advice specific to your business, you should consult with a tax or legal professional.